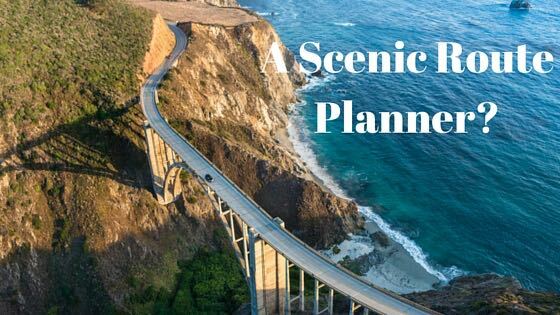 A Scenic Route Planner – does such a thing exist? - Which Sat Nav? Home » Sat Nav » A Scenic Route Planner – does such a thing exist? I like a Sunday drive. I like to load the car and go for a drive. I particularly like to drive and enjoy my surroundings as I travel. And over the weekend I wanted to do just that. I loaded the car with the kids, their bikes and the dogs (I actually think it’s a Tardis that we need!). I then began mentally calculating our route to the sea. I know what your thinking, why wouldn’t he just use his GPS device? You see as great as my sat nav is, it doesn’t provide me with a scenic route planner. Perhaps just this once I really don’t want to take the quickest and most direct route. Sometimes I just want to take in and enjoy some of the fantastic scenery we have on this wonderful planet of ours. Modern technology ensures that we have instant access to all sorts of amazing information. No matter what we’re looking for the answer is pretty certain to be found on the internet. Perhaps your looking for a steak restaurant or you need some new insoles for your shoes? Whatever it is we want to find out, then it’s all so very easy and very accessible. Or is it? Allow me to explain my train of thought. Every time most of us go for a trip in the car many of us will use the GPS device. Heck, it’s so easy. Tap in your destination, wait a few seconds and bingo! As if by magic you’ll have your most efficient route. The sat nav has calculated the fastest and most direct your route for you. We then start the engine and head on our merry way. We follow the instructions provided by Shauna without questioning her. Ok, so when we use the GPS we know exactly how to get somewhere using the fastest and most efficient route. And, that’s fantastic but, wouldn’t it be wonderful if we could be provided with details of a fantastically scenic route? Prior to calculating your route most GPS devices allow you to specify a number of parameters. These typically offer you the option of the fastest or the the most fuel efficient route. 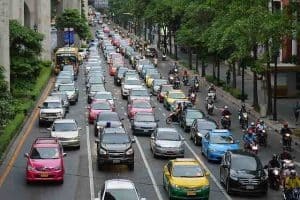 Perhaps you know that given the time of day that your travelling that the roads will be chock-a-bloc with traffic. You’ll therefore do anything to avoid that awful traffic jam on your journey – I think we’ve probably all experienced the kind of traffic in this picture! Perhaps you might want to avoid toll booths because let’s face it, they can be a very expensive add on onto your journey. I was glad to be sitting down (well I was the one driving!) when the lady in the toll booth asked for a staggering €46 to go through the Mont Blanc tunnel that brings you from France to Italy! Imagine having to do that commute every day for work! After playing around with the settings of my TomTom GO for some time the closest thing I found was the “avoid highways” option. Was this the ‘hidden’ option on the GPS that was going to give me the scenic route that I was looking forward to enjoying? Well, to be fair it depends on what it is your looking for in a drive. If to you any route that’s not on a highway is scenic, then read no further. Your sorted. Choosing this option gets you off the main highways and onto lesser roads. These roads aren’t as busy but nor are they as quick a route to your destination. They are nearly always a lot less boring than the highway route but, they can hardly be called a scenic drive as a matter of course. What Scenic Route Options Would You Like? You probably get the picture. I want to be able to specify the kind of route I want to drive. It might annoy the kids who just want to get everywhere as quickly as possible every time, but it will keep me happy! A recent article in the New Scientist discusses a new type of technology using an AI system called Autobahn. This system is being developed at Belgium’s Hasselt University and it looks like the beginnings of a scenic route planner. The system works by the user inputting some basic parameters including your start and end point of your journey. You’ll then be able to decide how long you want to drive and crucially for our purposes, what type of scenery you want to enjoy. If you choose forests, then the route you’ll be given will be through wooded areas etc. I’m pretty excited by the development of this system and hopefully it’ll transform our Sunday drives! Hartwig Hochmair of the University of Florida raises an interesting point in this article. 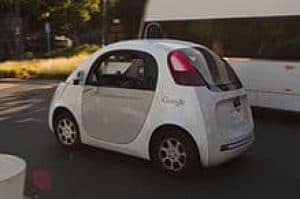 He maintains that in the future we’ll be sitting behind the wheel of a self driving vehicle. If this becomes a reality then we will have much more time to enjoy the scenery. Just imagine sitting back and literally enjoying the ride! The driver of the car will no longer have to miss those amazing sights because he/she has to keep their eyes on the road ahead. What do you guys think? Would you be comfortable sitting back in your non-driving eat whilst the car drives along a scenic road. Some of those scenic roads can be treacherous at the best of times. Those coastal roads can be a little daunting to many drivers never mind those that sit within a self driving car! 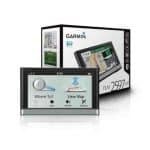 Garmin nuvi 2597 - should you buy it? 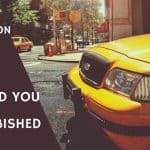 A Refurbished TomTom GPS - Should You Buy One? This is such an interesting article. I completely agree with you when it comes to taking the scenic route over the congested and stressful and more ‘direct’ way. However, as you say there are many advantages to taking your time and enjoying the beautiful views. I mean who wants to rush on a Sunday… isn’t there all week to do this? The only thing that puts me off about this GPS is the ‘self drive’ bit – the idea of having no control is a little daunting. Although, I suppose this is the way technology is going. What do you think?